Experience the free-to-play, side-scrolling, beat-'em-up arcade masterpiece. Discover a wonderful world and reveal hidden secrets with up to four players. The Knights of Valour are awaiting you. 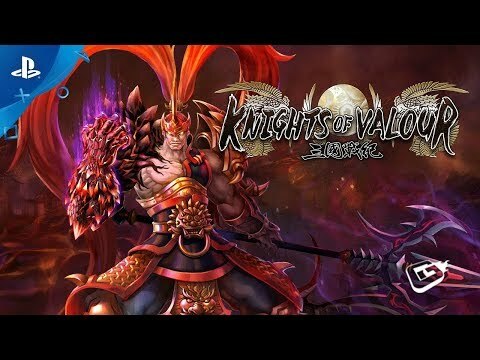 Based on the legendary arcade franchise, Knights of Valour is an action-packed and fast-paced beat 'em up, taking place in beautiful, side-scrolling stages. Choose out of a pool of more than seven different characters, each with unique traits to fit your individual playstyle. Collect equipment and learn lots of new skills to enhance your characters' abilities, and create customized skill combos to design unique serial attacks. This allows for a huge variety of character and equipment combinations for both the single player and the online co-op gameplay for up to four players. Play solo or with up to three friends via online co-op mode, and defeat the henchmen of the Yan Emperor to keep an ancient evil from destroying the world!